Rimi Lietuva, one of Lithuania's biggest grocery chains, increased its sales by 3.6% last year compared with 2017 to 324.5 mln euros, not including VAT, informed LETA/BNS. 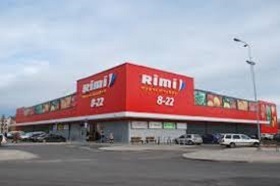 Rimi Lietuva is part of Rimi Baltic, whose total sales grew by 2.1% to 1.474 bn euros, Sweden's ICA Gruppen, the chain's owner, said in its 2018 annual report. The group's sales in Latvia rose by 3% to 775.2 mln euros, but sales in Estonia edged down by 0.9% to 374.3 mln euros. Rimi Baltic had 267 stores in late 2018, including 121 in Latvia, 82 in Estonia and 56 in Lithuania. The chain opened four stores in Latvia and Estonia each last year, and opened one and closed one store in Lithuania.